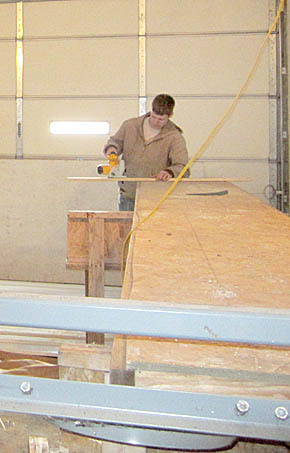 Mike Werner and Ryan Meis were putting up the new tin sides at the Petersburg Fire Hall ambulance bay last week. The remodeled bay will have new lights, door opening system, and other additions for the convenience of the ambulance personnel. It will also provide energy savings.